Deal of the Day: Save up to 40% off Turntables by 1byone for 12/14/2018 only! Today save up to 40% on selected turntables by 1byone. Great for any music lover from the old to the new. Play vinyl-to-MP3 and now with a better sound system to fill your home with the music you love. 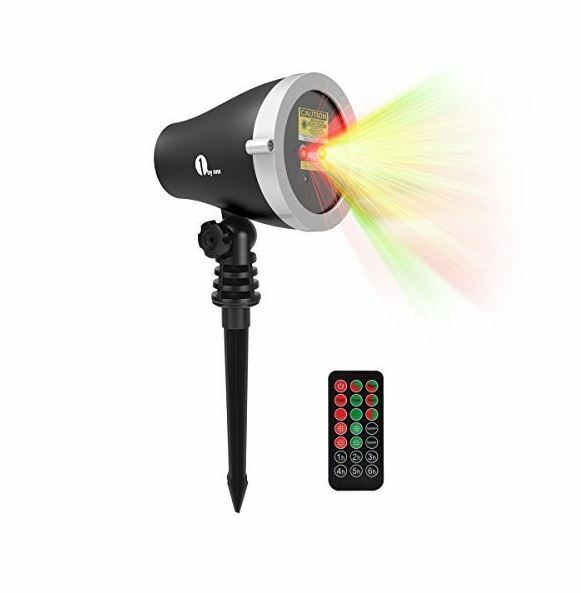 Deal of the Day: Save 31% on Christmas Outdoor Laser Light Projector with Wireless Remote Controller 12/04/2017 only! Forget the string of lights and climbing up on the house this year! Get ready to decorate your home with these aluminum alloy holiday outdoor laser light projector with a wireless remote. Deal of the Day: $52.99 & FREE Shipping. Amazing Illuminations – Plug in, turn on, and watch your garden or house be instantly saturated in gorgeous green and red lights. Perfect for creating a festival atmosphere. Broad Application – The laser lights can cover up to 2,100 square feet from a distance of 25 feet. It‘s perfect for Christmas and holiday entertainment, parties, landscape decoration, and anything else you can think of. Class IIIA laser product, FDA Certificated, 2.0mW power output, Easy, Safe and Cost-effective – Never go through the trouble again of unwrapping and hanging Christmas lights just put in the ground, plug in, and enjoy festive year-round energy efficient lights that never need replacing. Automatic Timers – Built- in timer function,the laser light will automatically turn off after 6H using and turn on again after 18H. You also can use the remote control to set the timer as required. Weather Resistance – Rated IP65 light casing and with an IP44 power adapter. Hide it amongst your landscaping without worrying about snow, rain, dust, and intense sunlight. 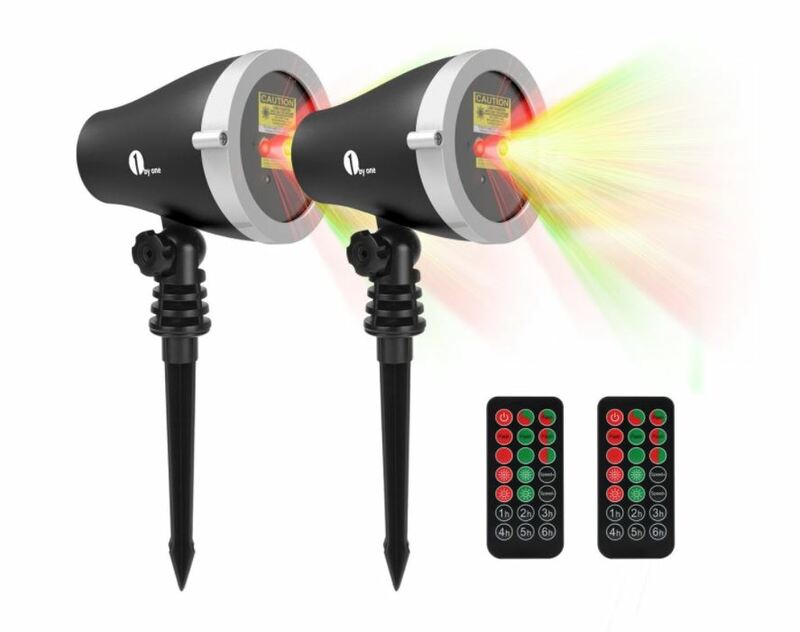 Deal of the Day: Save 30% on Holiday Outdoor Laser Light Projector 11/16/2017 only! It is the amazing laser light system that illuminates a huge area with thousands of joyful stars. No more wasting time in dealing with your Christmas string lights in a ladder any more, just replacing this Laser Light in your yard or home for a fantastic stars world, or showing thousands of Christmas trees in your space! 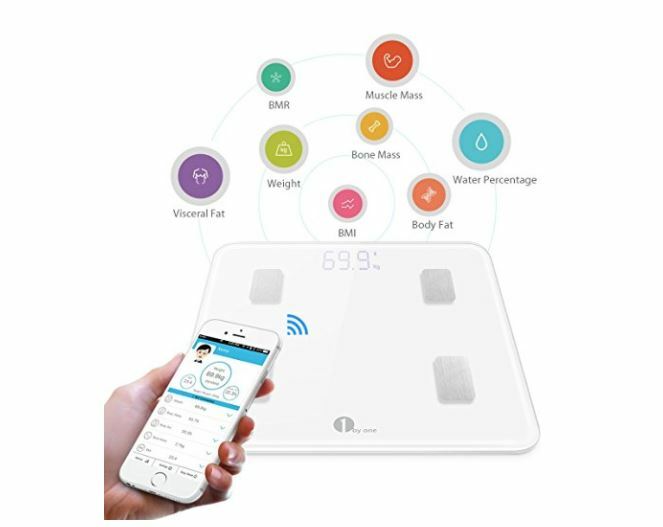 Deal of the Day: Save 58% on 1byone Bluetooth Smart Scale 11/03/2017 only! We bought this last month! So far it’s great! Step on the scale, and within seconds it takes 8 different essential health measurements, giving you comprehensive data about your health. Body measurements are sent instantly to your smartphone each time you step on, making it easy to track weight loss and health progress. No need to bother with Wi-Fi or setup instructions to get started. Simply download our app to your smartphone, connect to Bluetooth(no pairing required) and have your stats within seconds of stepping on the scale. How to Get All Data? Make sure your feet are touching the electrode (silver) areas on the surface of the scale, with each foot touching both the top and bottom electrode. Step-on technology – No more tapping or turning on a switch to use the scale. Just step on the scale and then you get an instant readout. Compact Design – 3.3 inch highlight LED Display, Use high quality impact-resistant tempered glass which is 4 times stronger than common glass. 4 High precision sensors – Equipped with 4 high precision sensors, can weigh from 11 pounds up to 400 pounds in 0.2 lbs increments. Compatibility – Only supports IOS 8.0 / Android 4.3 or higher version. Auto recognition of up to 10 users’ profiles. Jam out on this retro turntable! Enter Today & Good Luck! Thanks to all the promoting blogs! This giveaway is in no way endorsed, affiliated, or associated with Facebook, Twitter or any other Social Media Networking Site. You are not eligible if you have won a prize from any of the sponsors in the last 12 month. This Giveaway is valid in the Continental United States Only and Entrants must be 18+ years of age to enter. This giveaway event will end at 11:59 PM (EST) 3/23/16. The winners will have 48 hours to email their information back to julie.talesfromasouthernmom at gmail dot com or a new winner will be drawn, you may want to put this email address as safe as it could go to spam. The sponsors are each responsible for shipping of the above prizes. No blog associated with this contests are responsible for prize fulfillment. 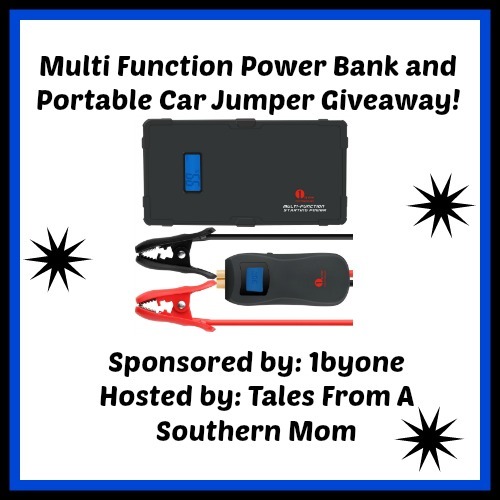 If you would like to be a sponsor in a giveaway like this please email Julie Beveridge at julie.talesfromasouthernmom (at)gmail (dot) com. Deliciously Savvy Is Hosting A Giveaway Sponsored By 1byOne! 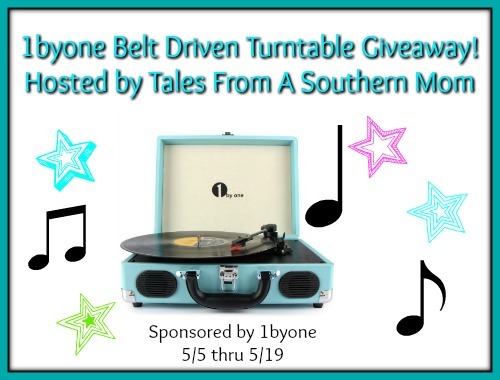 1 Lucky Winner Will Receive a Belt-Drive 3 Speed Stereo Portable Turntable from 1byOne with a RV of $77. Winner Chooses Color (Either Turquoise or Black)! Enter Today & Good Luck! PLUS a Big Shout out to all of the blogs helping to promote this super fun giveaway! I can never do it without each of you! Enter Today & Good Luck To All! Entrants must be 18 years old to enter and giveaway is open to United States residents only. This giveaway is in no way endorsed, affiliated or associated with Facebook, Twitter or any other Social Media Networking Site. This giveaway is valid only in the United States. Entrants must be 18+ years of age to enter. This giveaway will end at 11:59PM (EST) on 03/13/2016.